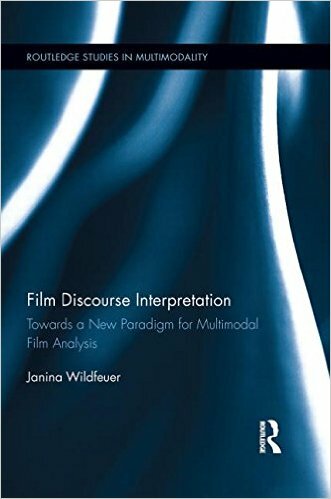 Wildfeuer, Janina (2014): Film Discourse Interpretation. Towards a New Paradigm for Multimodal Film Analysis. London/New York: Routeldge. My PhD thesis resulted from my time and role within the doctoral group Textuality of Film at Bremen University, Germany. 8 PhD students in this group were funded by a general scholarship from the university's Research Funding. My thesis was supervised by Prof. John A. Bateman and Prof. Wolfgang Wildgen. It was submitted at the beginning of 2012 after a funding period of 3 years. The concepts of film and text are already connected since the beginning of film theory. Moreover, in newer discussions, the attribute of multimodality evokes again an association of the medium with the text. But what are the concrete textual qualities of the filmic artifact? Which aspects contains the idea of textuality for the medium film? Which linguistic set of tools is required to describe the textuality of film? These questions constitute the research approach of this dissertation. On the basis of empirical work, it aims a detailed description and analysis of the textual qualities of film. Therefore, a textsemiotic approach is reasonable and essential. This approach draws on theories originated in systemic-functional grammar (Halliday) and multimodal discourse analysis (Kress/van Leeuwen) and chooses fundamental concepts of textlinguistics to develop an adequate set of tools for the description. The dissertation defends the thesis that structure and coherence of the filmic text, considered as basic features of its textuality, emerge from the interaction of the individual modalities depending on linear succession. The intersemiosis of the semiotic resources can therefore be identified by means of logical inferences, called abduction and active semiosis (Peirce). The analysis of these relations is supposed to produce the structure of a film or specific film extract and to demonstrate its meaning potential. Wildfeuer, Janina (2014). Film Discourse Interpretation. Towards a New Paradigm for Multimodal Film Analysis. London/New York: Routledge.